Andy Hutchinson (@AndyHutchYPN) says: "Thank to everyone who took the time and trouble to get in touch. 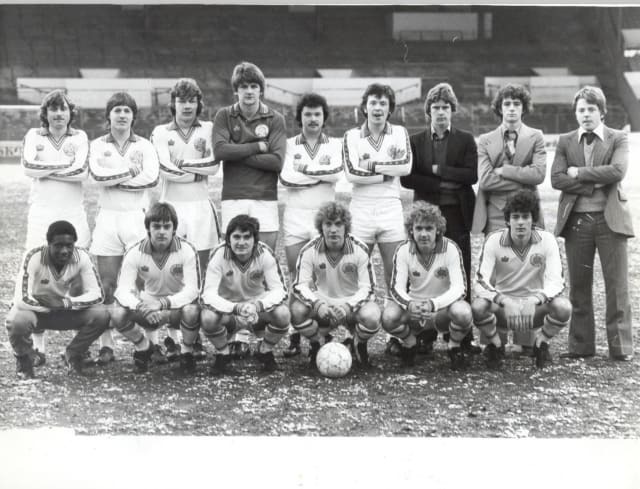 "Back row, from the left - David Bennett, Phil Porterhouse, Gary Fozzard, John Lukic, Barry Tyerman, Dave Matthews, Martin Dickinson, Ashley Burrows, Brendan Hawkins. "Front - Terry Connor, Dave Thompson, John MacPhee, Tony Barrowcliffe, Darren Feeney and Steve Balcombe."